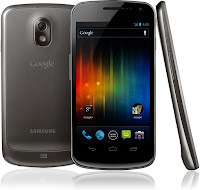 Google has finally revealed its new weapons for 2012: the new and better than ever Android Ice Cream Sandwich and their new new flagship smartphone Galaxy Nexus. I believe this will be one of the most important "steps" Google and Android are giving, and will become a major milestone in the evolution of the Android platform. 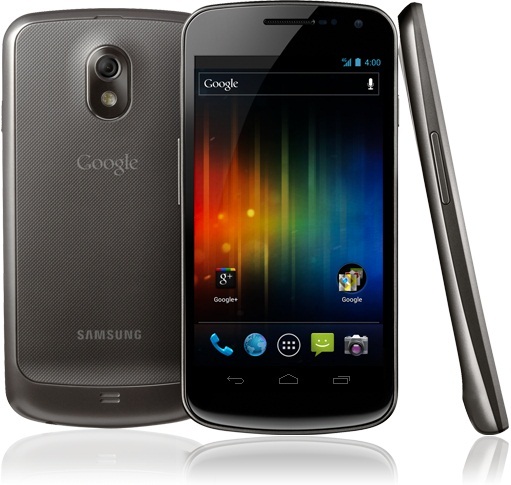 If your're looking for a high-end Android smartphone, look no further, as the new Galaxy Nexus will offer you everything you might be looking for... and more. The only "downside" is that it might be too large for anyone wanting a compact Android phone; but once you see that 4.65" Super AMOLED in action, with its HD 1280x720 resolution, you might want to reconsider it. Besides, that large screen is partially compensated by the fact that we no longer have the traditional physical Android buttons, just like the Honeycomb tablets. Inside, we can find TI OMAP4 dual-core CPU (1.2Ghz), 1GB RAM and dual cameras (5MP and 1.3MP... now without shutter lag). Also present are the usual assortment of extras, like: Bluetooth, WiFi, GPS, NFC, giroscope, barometer... etc. 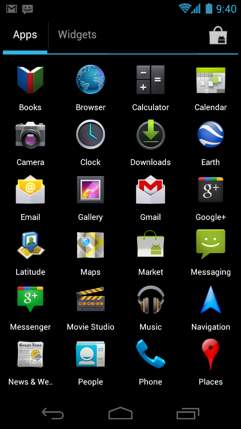 But more than the hardware itself, the jewel of the crown is the new and improved Android 4.0. 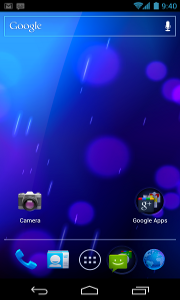 There's a lot of new stuff in Android ICS. Some (most) will be instantly recognized by anyone with a Honeycomb tablet - which Google admitted being an emergency stopgap version made in a hurry (that's why they never launched it as open-source) - but that will now be done properly with this 4.0 Android version. From what I can figure out, this really does seem to be the first Android version made with the required amount of attention to details that will make users want to have an Android - as opposed to have "anything" that allowed them to access the web and their email - and that will at last "unify" tablet and smartphone Apps under a common interface. "zero lag" camera photos- continuous auto-focus, realtime effects, photo editing, panoramic photos, time-lapse, zoom while recording video, etc. Able to disable "operator-installed Apps"
Lots and lots of nice features and improvements that make Android more attractive than ever (and also make iOS look old in the process... like the zero lag photos, and realtime voice transcription - as well as the "WebOS style" swipe to dismiss notifications and background apps)!